NABARD is inviting applications for the posts of Manager (Grade B) in the Rural Development Banking Service (RDBS) of National Bank for Agriculture and Rural Development (NABARD). Accordingly, NABARD Recruitment drive is taking place to fill 17 vacancies. The selection procedure consists of Prelims, Mains and Interview. 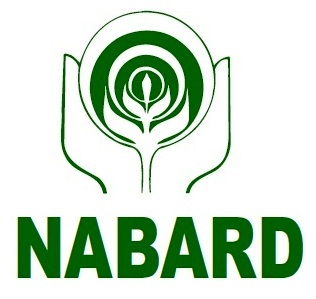 To work in a reputable institute and earn around 70,000/- per month, do apply for NABARD Recruitment Exam. Read further to see the official notification for NABARD Recruitment and get the direct link to apply. There are a total of 17 vacancies for the post of Manager (Grade B) in the Rural Development Banking Service (RDBS). There are 9 vacancies in General and 8 vacancies in Agriculture. Bachelor’s Degree in any subject with minimum of 60% marks (55% for SC/ST/PWD). Post Graduate degree with a minimum of 55% marks (50% for SC/ST/PWD). Bachelor’s Degree in Agriculture with minimum of 60% marks (55% for SC/ST/PWD). Post Graduate degree in Agriculture with a minimum of 55% marks (50% for SC/ST/PWD). For Age relaxations, see official notification. Eligible for: DA, Local Allowance, HRA, Family Allowance, Grade Allowance, Medical Care. Phase 2- Main Examination will consist of 3 papers.